Summer comes with so many perks, and one of them is being able to sit outside, enjoy the warm weather and the sun. 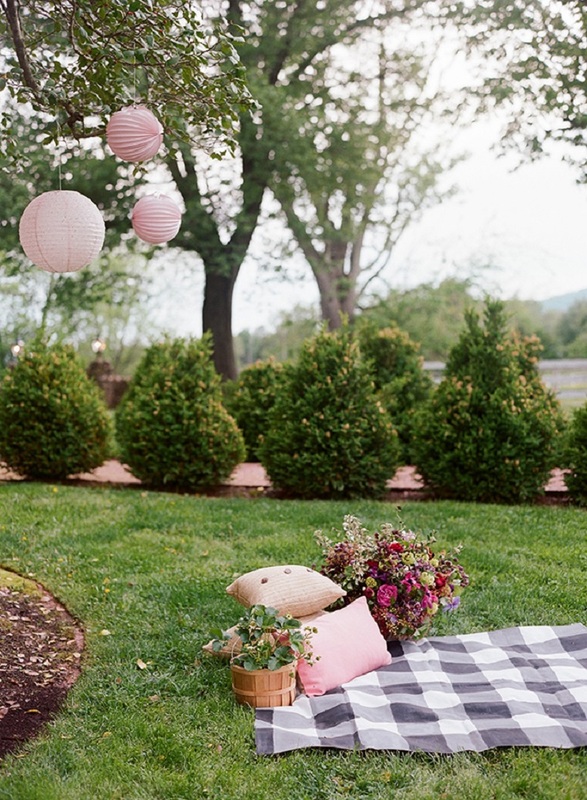 The best way to experience this is by having a nice picnic somewhere outside, whether it’s a park or your garden! There are so many things that you can take with you on a picnic, but what really matters is the blanket! You don’t want something too fluffy or rough – you’re going to sit there for a while and it’s important to feel comfortable. However, this doesn’t mean choosing a dull blanket, when there are so many ways you can decorate a blanket. 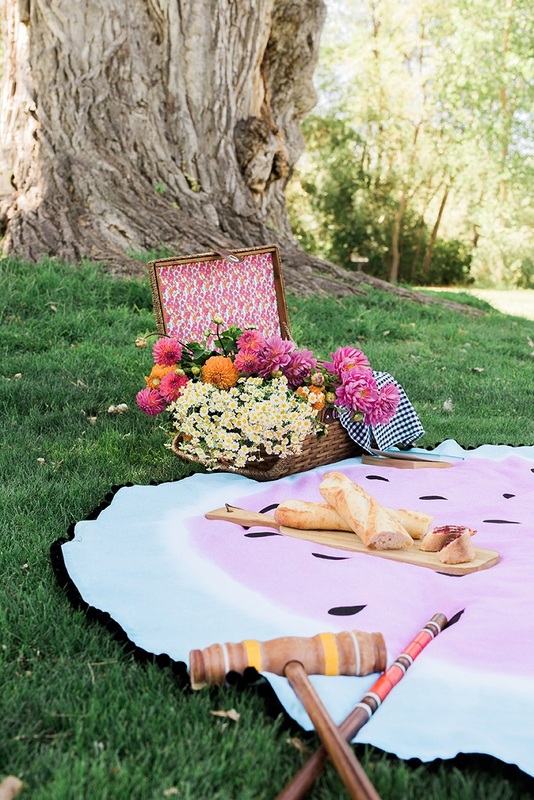 Scroll along to see ten beautiful ideas for creating your future, perfect picnic blanket! 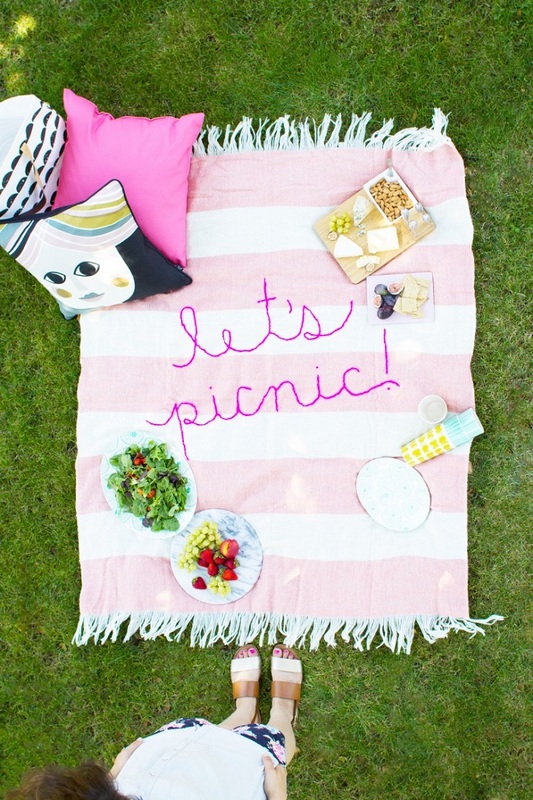 A picnic blanket with a saying can be so nice. Imagine having your own favorite blanket with your favorite saying on it! As you can see on the picture, the saying used is pretty simple, but if you have enough time and resources, you can always try something more. To have your own blanket such as the one on the photo, you will need striped blanket, yarn, large sewing needle for knitting, scissors and colored chalk. Just use your embroidery skills and some imagination to make something that will upgrade the picnic experience higher! You can use your painting skills to do something more than just a painting. For example, you can decorate a dull blanket into a colorful one! You need 1 4×5 canvas drop cloth, 1 can of spray paint color of your choice, painters tape and ruler, but that’s optional. Lay the blanket on a flat surface and tape individual stripes, and decide how apart you want them to be. When you’re done taping, use the spray paint and make sure to cover every single spot. Let it dry completely for few hours and take off the tapes. Pom poms are the kind of thing that can be used to decorate so many stuff. For the DIY lovers, the choice seems endless – pillows, key chains, bag chains, sandals, garland, and blanket, to name few. To make your own blanket such as the pictured, you will need 2 yards of 60″ wide (or wider) terrycloth, microfiber or other absorbent fabric, 6 yards of double fold bias tape, 5 1/2 yards of each trim of your choice (like fringe and two pom pom trims as pictured), yarn in colors of your choice, pom pom maker, fabric glue, jumbo or yarn needle, scissors and pencil or chalk. This kind of blanket is either expensive or hard to find. To solve your problems with finding the perfect fruit – inspired blanket such as this one, you should definitely try making your own. 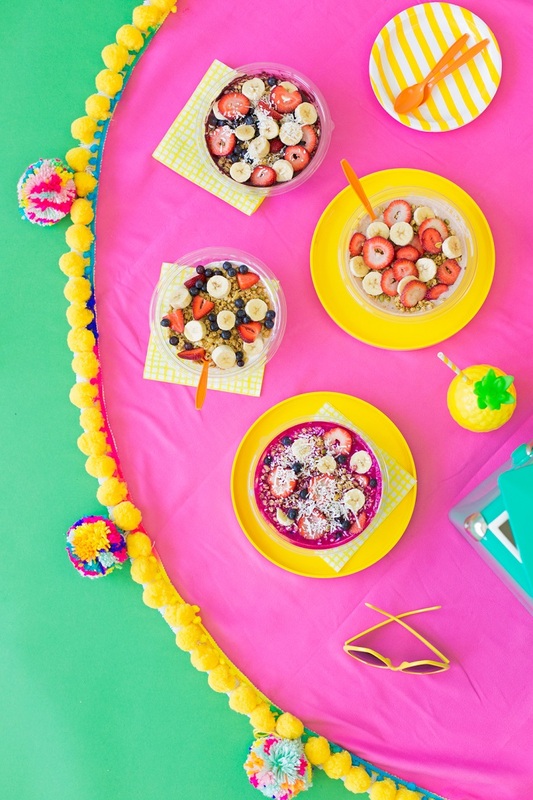 Make sure to have round white cotton tablecloth, green and pink dye prepared according to instructions, clothes pins, black fabric paint, paint brush and black pom pom trim. It will take you a while to do it, but the results will be so satisfying, especially when placed under the sun and share precious moments with your close ones. Here’s something a little bit different, but definitely worth the try. 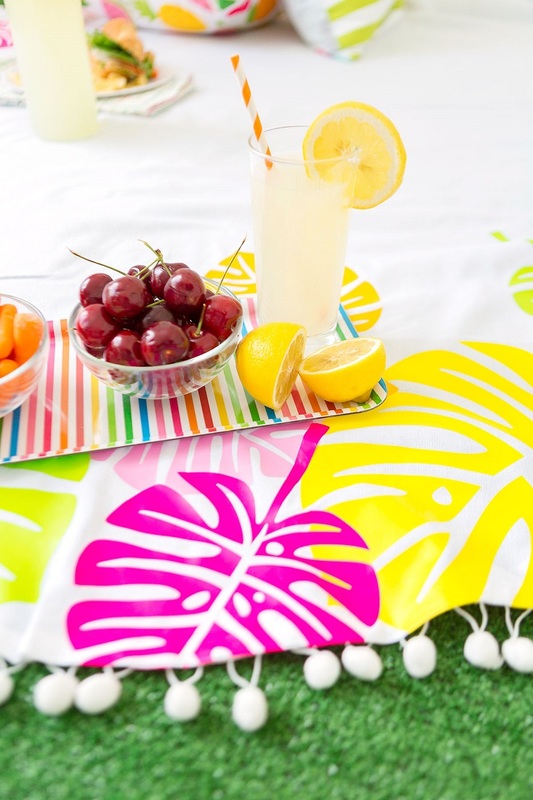 You need cricut explore, cricut design space access subscription, iron on monstera leaf shapes cut from bright colors of cricut iron-on material, white 70″ round table cloth, pom pom trim, fabric glue, tabletop ironing board and iron. All you need to do is fold the blanket in half and place the leaves where you want them to be. Carefully iron them and when you’re done with the leaves, use the fabric glue to adhere the pom pom trim along the whole blanket’s edge. Leave it to dry for few hours. 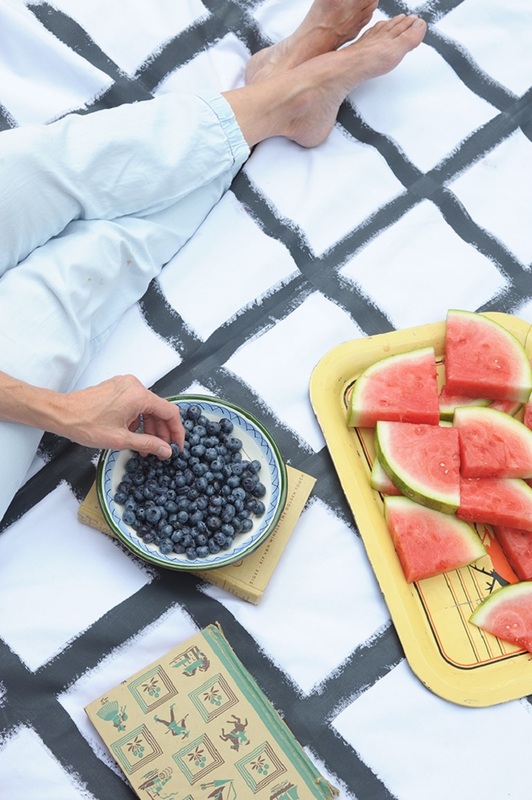 Having a fruit – inspired blanket really reminds us of summer, especially if you choose a fruit that you can only buy during this season. drop cloth (used 5 x 5), fabric paint, paint brushes, stencil, precision knife, rotary mat and pen. It’s really simple – lay down on your cloth with a cardboard underneath it. Create your stencil pattern, first trace it and then cut it using knife and rotary mat. Prepare the paint and use the stencil pattern to paint all over the blanket. Wait until it’s completely dry to take it outside with you. What makes this blanket a little bit more special unlike the rest from the list, is that this one actually comes with a playing game! It will be so fun playing a game with your friends or family on a blanket, which not only is fun, but looks amazing with the tropical green leaves pattern as well. For this one, you need drop cloth, paint, scotch guard, yarn, wood pieces, a zipper, hot glue and a pencil. This blanket promises so many good times under the sun and creating memories with the people who mean to you! There’s something about tassels that makes them more than just a decorative material. They really have some charm that sends out chic vibes! 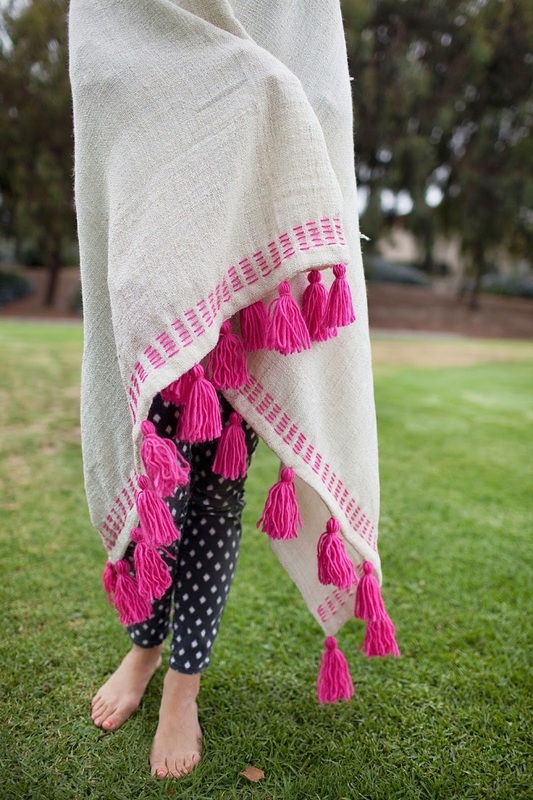 You can a blanket with tassels all along the edge, so why not try it out? Just make sure to have the following materials: plain blanket, yarn, tapestry needle to to thread the yarn, regular needle and thread matching the color of the blanket and sewing machine. 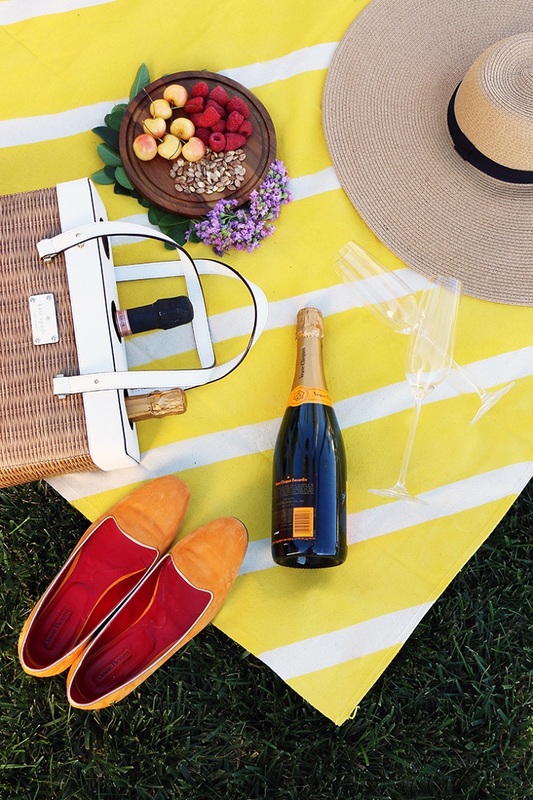 With a little effort, creating the perfect picnic blanket has never been so great! So far we talked about nine ways on creating the perfect picnic blanket that will stand out from the rest with how unique it looks. But, having the good old gingham blanket can still be classy. You need 5×5 canvas drop cloth, pencil, t – square or ruler, black and gray acrylic paint, foam paint brush and iron. This is a great way to make your own gingham blanket, only this time you choose the colors and how you’re going to draw the checks. Have fun! 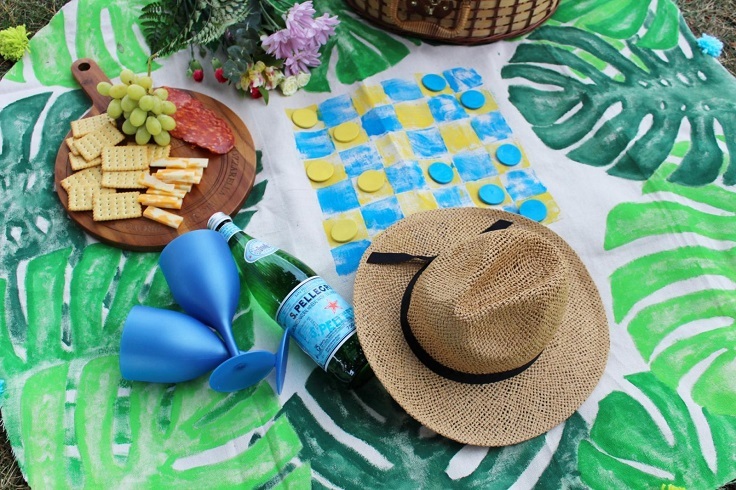 Here’s another way to paint a picnic blanket. Before you start, these are the materials you need to have: 2 yards 100 percent cotton, black fabric paint, 1 inch paintbrush, ruler, pencil, Iron on Adhesive tape. It’s really easy to make it. First place the blanket on a flat surface and measure the grids. Drew lines with pencil and follow the traces by painting lines. When the paint is dry, iron the blanket to set the paint.